3 Thinking Styles that are bad for your Mental Health. Our thinking styles and belief systems are the way in which we interpret the world around us. They help us to make sense of situations and events and create an emotional response to them. However, what happens if the beliefs and thinking styles we have developed are not helpful ones? What if they are actually leading us to see everything in the worst possible light? Only honing in on the negative things and worst case scenario? It certainly doesn’t bode well for our mental health, or our emotional wellbeing on a day to day basis. There are many different belief systems and thinking styles, but after contributing a podcast last month (link at the bottom of the page) it got me thinking about which of the thinking styles have the most detrimental affect on our mental health. 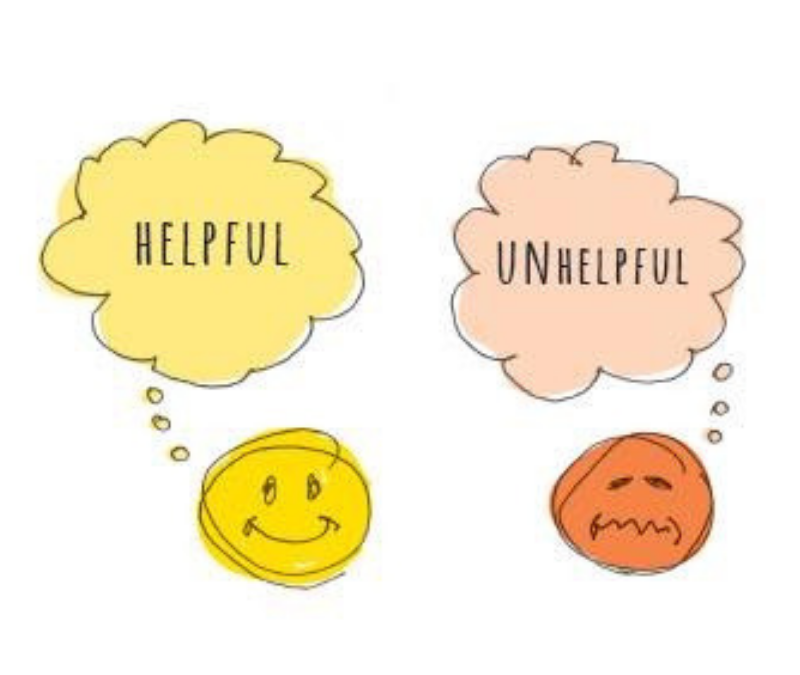 So here are three of the most unhelpful thinking styles I see in my clinic and how they can have a negative impact on your life. What if I can’t do it? What if it all goes wrong? What will everyone think? How am I going to overcome this? What if that happens? Were they thinking that about me? Ah, brooding. The thinking style of never ending, unanswerable questions. Many people believe that this is a useful way to spend their time as they can plan for every eventuality and foresee a way to overcome any possible problem that might crop up. But just think about this for a moment, how often do ANY of the scenarios that you spent hours in your head going over actually come to reality? How many of the scenarios and questions that have been going round and round, keeping you awake at night were positive ones? Exactly. Brooding is a complete waste of time. Thinking, thinking and thinking again about something does not mean that you have it under control. All it does is keep up awake, give you a headache and create anxiety. Do yourself a favour and plan for things to go well instead! “Oh yes! I’m a massive perfectionist!” is something I hear repeatedly from clients. They say this looking rather proud and like they have said something I am bound to be impressed by. So why is it in my list of most unhelpful thinking styles? The problem with always aiming for perfection is simply that perfect does not exist! When we are striving for ‘perfect’ that means we are aiming for better than just okay, better than great, better even than excellent! It’s about, not only not getting ANYTHING wrong, but about making the right flawless. How many times have you heard yourself saying something like “OMG I’ve had the worst day ever!” or “I just can’t cope anymore, it’s horrendous!” “I’m starving! I think I’m about to waste away!” Sound familiar? This thinking style is easy to spot due the usually quite dramatic and out of proportion language that we use with it! But the thing is… did you REALLY have the worst day ever? Or was it just a bad five minutes that you have milked and talked about all day? Can you really not cope, or will you have forgotten about it by tomorrow? Are you actually starving like those poor children in war zones or are you just a bit peckish? Most people have a little chuckle and say that they understand it they are being a little dramatic and they don’t really mean it. It’s just a figure of speech! However, it’s not as simple as that. If you do it sometimes, the chances are you do it more than you realise! And sometimes you only do it inside your own head. When you catasrophise, you get into the habit of not only seeing the negative in every situation, but blowing it up into a problem that’s much worse! You lose sight of perspective and reality and this creates anxiety. So just think next time you catch yourself catasrophsing…. is that the reality of the situation? If not, take a more helpful view instead. There are many more different thinking styles that can alter the way in which we see the reality of events and situations, and often not in a helpful way. See if you can catch some of your thoughts as you go through a day and ask yourself “This thought I have in my head right now, is it helpful?” If it is, great! If it’s not, either change it, or bin it. The importance of Mental Health for Parents. Join our mailing list to receive to be the first to recieve the latest blogs, testimonials and special offers. Woo Hoo! You have successfully subscribed!